Compact and convenient, it’s no secret why tacos are a staple street food. 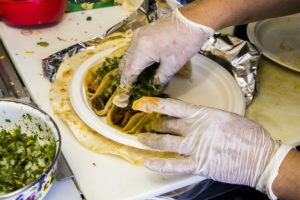 The Weekender visited two local taco trucks this week to sample their fare. 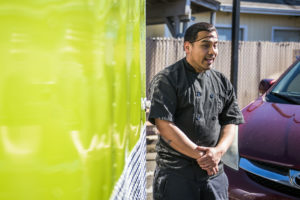 Tacos & Tortas is a newer truck with a veteran cook, while Los Costenos’ owners have been in the area for eight years and are planning to expand. Both have a passion for food and family. 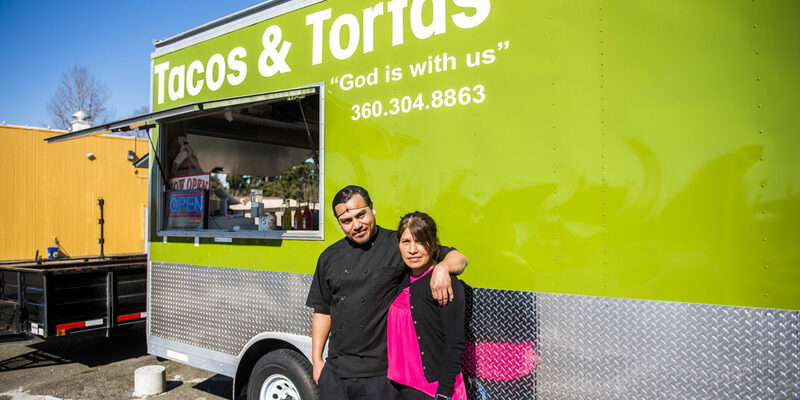 With 20 years of cooking experience, Josué Hernandez started a small family business with his wife, Reyana, by opening the green Tacos & Tortas “God is with us” food truck on Harrison Avenue in Centralia. Before Josué moved to Washington two years ago, he lived in New Jersey where he worked in Italian fine cuisine and was head chef for seven years at a restaurant called Toast in Asbury Park. 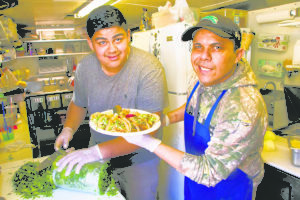 Jesus Cebrero Jr, left, and Jose Torreblanca, right, pose for a photo while holding up a plate of tacos Wednesday afternoon in Chehalis. 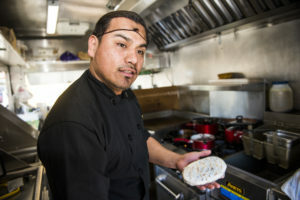 The Hernandez’s food truck sells authentic Mexican food made with fresh local ingredients, Josué said. He purchases the meat they use from Stewart’s Meat Market in Yelm. On top of the homemade fillings, they also make their own tortillas and salsa. The huarache that Josué serves is one of the unique homemade options on the menu, and something he recommends to first-time visitors. The crispy, oblong dough can be customized with the customer’s choice of meat and toppings. All of Josué’s food is made to order and come with the customer’s choice of meat (or no meat). Their most popular items on the menu are anything carne asada; burritos, tortas and tacos, Josué said. Every day the truck has different specials, including something for Taco Tuesdays. 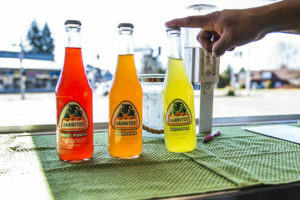 Along with authentic food, Tacos and Tortas sells different flavors of Mexican Jarritos. Josué said the most popular flavor he sells is pineapple, which is also his favorite. Jose Torreblanca holds up up a plate of tacos Wednesday afternoon in Chehalis. 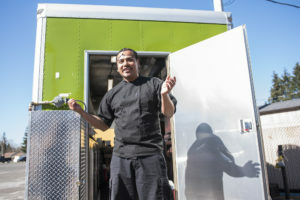 On Josué’s green food truck is the phrase “God is with us,” which he chose to add to the name of the truck because of his childhood. 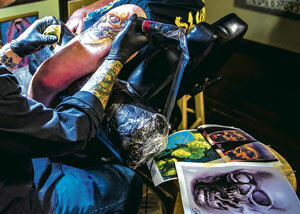 He is also reminded that God is with him because of his ability to become a citizen of the United States, Josué said. 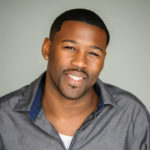 Last year, Josué catered two weddings and five birthday parties for customers. People who come to his food truck and like his food often ask him to cater events that they are having, Josué said. Though the truck is normally parked on Harrison Avenue, Josué said they will sometimes move for summer events. 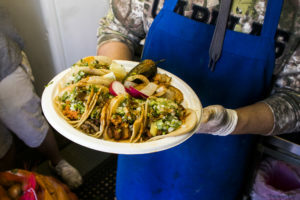 Los Costenos Taco Truck is located at 2100 N. National Ave. in Chehalis. The Los Costenos taco truck is behind Yard Birds Mall. 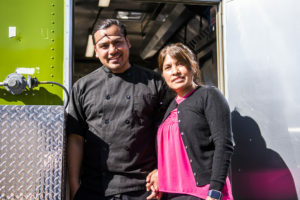 Since 2011, Alicia and Jesus Cebrero have owned the taco truck which was originally Jesus idea when he was inspired by his mother’s cooking. 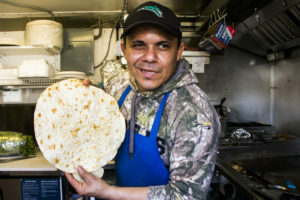 Jesus’ mother, Soledad Herrera, uses all her own recipes to prepare the food for the taco truck each day. She has cooked in the Chehalis and Centralia area for 15 years, but now she cooks for the truck and teaches other people in their family how to make the food. In the summer, Herrera makes horchata and in the winter she makes champurrado, which are both popular, she said. Josue Hernandez, owner of Tacos & Tortas, talks about the ingredients he uses to prepare food Monday afternoon in Centralia. Other popular items from the truck include their tacos and guacamole. One of their customers refers to the guacamole as “green smoothie” because they said they could drink the guacamole like a smoothie, Jesus said. 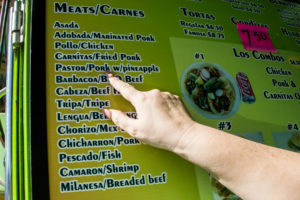 Los Costenos also offers meat options outside of the classic ground beef and chicken including tripe (cow intestine), cow tongue, cow head and pork skin. Some of their tacos are garnished with salsa and vegetables, while others have pineapples on top. 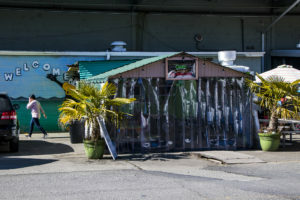 In front of the truck is a covered seating area for customers to eat, protecting them from rain or the heat of the sun. There are picnic tables for seating and a fridge for customers to choose something to drink. Josu Hernandez, owner of Tacos & Tortas, talks about the ingredients he uses to prepare food Monday afternoon in Centralia. 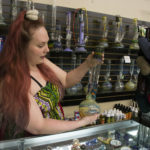 Jesus’ family is from Acapulco, Mexico, so the name “Los Costenos” comes from what people there call themselves — people from the coast, Alicia said. Alicia and Jesus are planning to open a second taco truck, possibly near Rochester. The taco truck also caters events like weddings, quinceaneras, company picnics and other work events. For larger events or groups, Los Costenos has taquiza platters for customers to sample their taco options including a 30 or 50 taco taquiza plate. 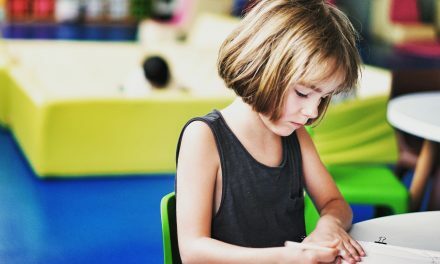 Overall, Jesus said it is important to them that God is the one who blesses them all the time. 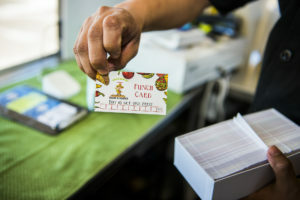 Josu Hernandez, owner of Tacos & Tortas, holds up punch cards he hands out to guests Monday afternoon in Centralia. Josu Hernandez, owner of Tacos & Tortas, talks about his passion for culinary arts Monday afternoon in Centralia. 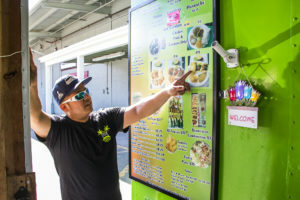 Josu Hernandez, owner of Tacos & Tortas, points out his favorite drink to enjoy with a taco, a Pineapple Jarritos, Monday afternoon in Centralia. 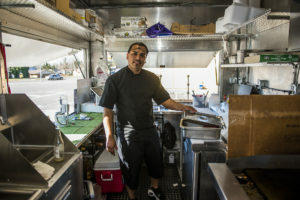 Josu Hernandez, owner of Tacos & Tortas, talks about his food truck Monday afternoon in Centralia. Josue and Reyana Hernandez, owners of Tacos & Tortas, pose for a photo in front of their food truck Monday afternoon in Centralia. 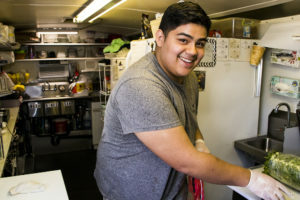 Jesus Cebrero Jr, smiles as he prepares food Wednesday afternoon in Chehalis. Jose Torreblanca prepares a plate of tacos Wednesday afternoon in Chehalis. 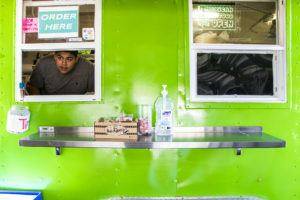 Jesus Cebrero Jr, checks on a customer through the food truck’s window Wednesday afternoon in Chehalis. Jesus Cebrero Sr, owner of Los Costenos, talks about the tamales they serve Wednesday afternoon in Chehalis. Jose Torreblanca holds up tortilla bread Wednesday afternoon in Chehalis. 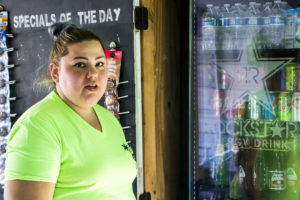 Alicia Cebrero, owner of Los Costenos, talks about the business Wednesday afternoon in Chehalis. Alicia Cebrero, owner of Los Costenos, talks about her favorite item on the menu, a Pastor Taco, Wednesday afternoon in Chehalis.